Beautifully renovated 4 years ago with hickory engineered hardwood, new paint colors, new baseboards, new carpet. Updated kitchen & bathroom flooring, newer lighting & plumbing fixtures. Open kitchen with 5-yr old stainless steel appliances, room to eat-in. Rainscreened building. Top floor unit, very bright, with updated windows & skylights, and newer roof in last few years. Excellent location with west-exposed balcony overlooking street and treed area. Both bedrooms are large with big windows. 3 skylights in unit, all updated. 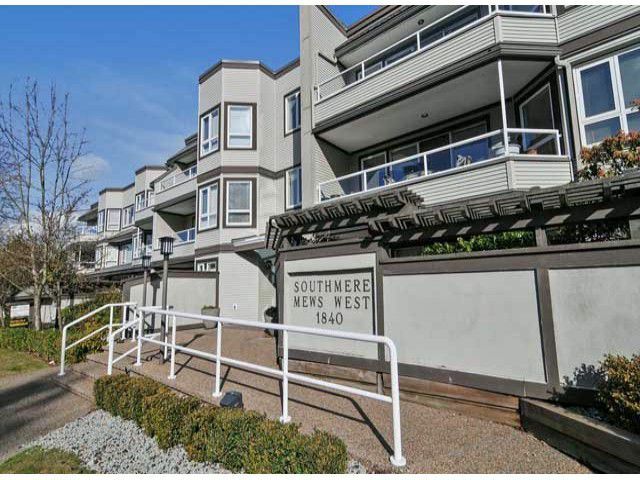 Located 1 minute from Semiahmoo shopping, 5 min walk to Van. transit. Close to Starbucks, Rialto theatre, & many local restaurants. Dentist, doctors, all necessary amenities are within a block. Cat allowed, complex has outdoor pool & rec room. Ideal starter home, age 19+. Halls, carpets all updated with designer decor and the building itself is a pleasure to enter. Located close to elevator, easy access. This building has had all the big-ticket items done and the unit is lovely!